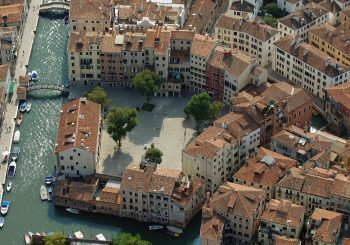 Home / Archive by category "In città EN"
On April 25th Venice celebrates Saint Mark’s Day, the patron saint of the city. It is a feast particularly appreciated by Venetians people and characterized by a very beautiful and ancient custom: this day coincides with the so-called Rosebud Festival (Festa del Bòcolo), on the occasion, men traditionally give a single red rosebud (bòcolo in Venetian dialect) to their beloved as a symbol of their endless love. Saint Mark became the city’s saint patron after the arrival in Venice in 828 AD of his relics, that were adventurously stolen from Alexandria. 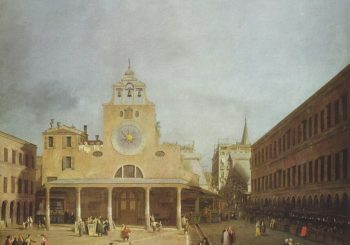 Initially, the relics were placed inside the Doge’s Palace, waiting for the construction of the new basilica. In 1063, the Doge Domenico Contarini commissioned the construction of the current Saint Mark’s Basilica to host the Evangelist’s remains. The relics were placed inside the crypt until 1811, when were definitely moved under the high altar. Since then, the crypt has been used only as a burial place for the Patriarchs of Venice. 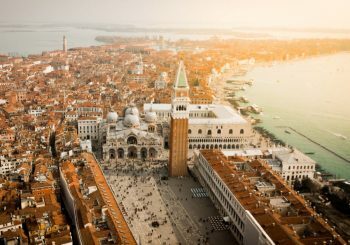 Saint Mark’s Day had also an important connection with the history of Saint Mark’s bell tower, called by Venetians the paron de casa (the “house owner”). The foundation of the 98.6 metres (323 ft) tall Saint Mark’s bell tower, began in the 12th century. Almost a thousand years later, on 14 July 1902, the tower collapsed ruinously. The reconstruction started on 25 April 1903, with the laying of the first stone, and the day of Saint Mark of 1912 it was officially inaugurated. 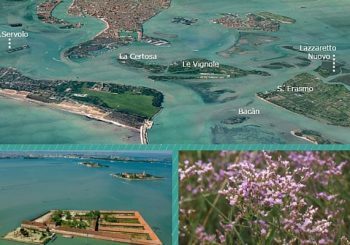 If you are in Venice on these days, don’t miss to visit one of the five hundred gardens. In spring, the rose, the undisputed sovereign of Venetian gardens, offers to the visitors romantic blooms and picturesque views. To find out more, take a look at this article by the writer Mariagrazia Dammicco or choose one of the many qualified tourist guides that will be able to reveal you the legends and secrets of this thousand-year-old city. Art exhibitions, events, dance and theatre: if you are interested in arts & culture, there’s no shortage of things to do in Mestre! M9, the museum of the 20th century, aims to take visitors on an interactive journey through the Italian history of the last century. Every Sunday morning at 11.30 the museum offers guided tours both for the permanent and for the temporary exhibition The Italy of Photographers. 24 Artists’ Tales. Advance booking not required; the guided tours cost €5 per person in addition to the entrance fee. The photography exhibition Turbulent America, at display until May 30th 2019 at the Candiani Cultural Centre, presents three decades of work by photojournalist Jean-Pierre Laffont covering American culture and history from the 1960s to the 1980s. He arrived in New York in 1965 and for more than three decades, he travelled through the country, from Manhattan to the Central states, trying to capture the spirit of the times. 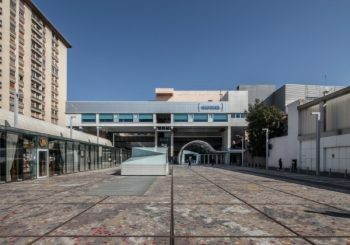 The Toniolo Theatre on April 16th at 9 pm hosts the highly-anticipated CARMEN.maquia, the closing event of the International dance festival. The performance, presented by the Valencian company Titoyaya Dansa, is a contemporary, Picasso-inspired reinterpretation of the classic Bizet opera, Carmen. The choreography fuses contemporary dance with Spanish paso doble and flamenco.